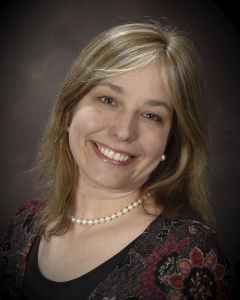 A national-level lecturer and author, she has taught at the Salt Lake Institute of Genealogy, the Institute of Genealogy and Historical Research, and the Genealogical Research Institute of Pittsburgh, and she has presented for Ancestry Academy. Debbie’s work has been published in NGS Magazine, The Digital Genealogist, and OnBoard. She is a trustee of the Board for Certification of Genealogists. She has attended IGHR, NIGR, and GRIP. Debbie holds a certificate in paralegal studies. Certified Genealogist is a registered certfication mark of the Board for Certification of Genealogists, used under license, and the board name is registered in the US Patent & Trademark Office. Great articles and good information. Looking forward to reading future blogs! Thank you, Mary. I hope that the blog posts and the items in the resources section are helpful. So what have you found on the Mieszala name? I know of at least three separate family lines. Mine if from Poznan and south east. Be great to know what you found. My dad left Chicago and thus I have lost a lot of the history but I do have a few historic photograph copies. Alex (Aleksander) Mieszala was born in 1891 in Grabowek, Lomza, Poland. His parents were Walenty Mieszala and Katarzyna Gladek. Walenty was the son of Franciszek Mieszala and his wife Elzbieta. This is as far back as I have taken it to date. The surname is uncommon, but the places in Poland that the two Chicago Mieszala families I am familiar with came from are not close to one another. They used many of the same given names in their families. Alex was not my grandfather. There is another Daniel Mieszala much younger than I still in Illinois possibly belonging to Alex. My Grandfather was Michael (most likely the Polish spelling) and grandmother was Josefina who emigrated during WWI. My great grandmother had actually come over well before that after re-marrying as a widow. She paid for the (rather large) family to come over and it took over 4 years to accomplish. Sorry for the long delay, I did not check the box below. Thanks for the reply. Hi. I wonder if the two families connect. I think there were two different Mieszala families in Chicago, coming from different parts of Poland. They used a lot of the same given names with their children. Hello Debbie, my name is Hubert Pienkosz i am great-grandson Wladyslaw Mieszala, i am looking for some information about my family and i found your website. I found a lot infotmarion here. Maybe you have some pictures of Alex Mieszala or he’s siblings?? Hi Hubert. It was good to connect with you via email. I shared the only picture I had, and am unsure on where the others came from that you saw. If I have the right Debbie, you and I are distant cousins by descent from Margaret Loy ( Find A Grave Memorial# 49720416 ) and her husband, Rev. Stillman Tucker. (Find A Grave Memorial# 11254824) Your ancestor, Phoebe Tucker Collins (Grave Memorial# 79923719) was my mother’s Aunt Phoebe. Please write. We have been out of touch for too long. Hi Mark. I am the right person, but my ancestor is the other sibling, Martin Luther Loy. Definitely out of touch too long. Good to see you here. Is there anyway to obtain the names of a birth father/mother if the information was marked as “legally omitted ” on the original birth certificate ( Springfield, Illinois?) I am adult daughter of a deceased adoptee. His birth circumstances and period first year of life ( adopted at age 1) adoption was very secretive. No one is alive to ask more questions. I have done the DNA testing and registered with IARMIE but no luck. I only want the names, ethinicity and no real desire to locate surviving relatives. Is there any hope? Sometimes birth fathers are named in the adoption agency records or home study paperwork. Only non-identifying information is released from agencies and home studies, and there is usually a fee for that in Illinois. If a birth father’s name appeared in the agency documents, a Confidential Intermediary could do a search for that named person. However, many people are turning to DNA testing to seek answers to questions like yours, and having some success. Many begin with Ancestry DNA and upload their Ancestry raw data to GedMatch, Family Tree DNA, and My Heritage to seek additional matches. It is then an exercise in sorting matches that are not from your mother’s side, and not from your paternal birth grandmother’s side, and seeing what you have left. If those who you match have trees you would then look for a pattern in the matches, common ancestral couples, for example. Yes, there is hope, but it might not come without some effort and it likely will not come through paper records dealing with the adoption.